To be known and understood is to feel safe. For those who are emotionally healthy and have not suffered trauma, the thought processes of a child who has attachment disorder can be very confusing. Understanding your child and what causes him to think or react the way he does is crucial; he will never be able to trust until he is understood. For the most part, the core feelings of children who have experienced early trauma, including abandonment are scared and sad. To adapt and survive, these children learned early to turn those scared and sad feelings into mad. Because other feelings lie underneath, which the child may not even be aware of, or has never felt safe enough to share, their mad is acted out in inappropriate ways. 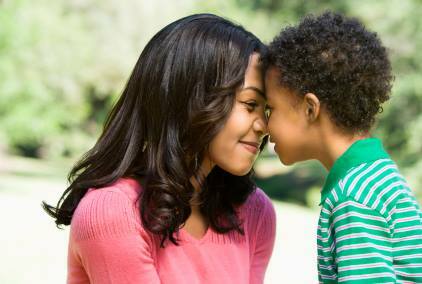 Learning to get to your child’s core feelings as well as the ability for him to learn to express them appropriately, are key to a successful relationship. Parenting a child with attachment problems is extremely stressful. These children triangulate by pitting one parent against the other. They may even act sexually towards one or both parents, due to their abusive past. If these problems are not dealt with they can destroy your marriage and family. For your family to begin to heal, the parents need to present a united front. Unfortunately, many people have no idea how living with a child who has reactive attachment disorder impacts the siblings. Often the biological children have opened their hearts to the idea of having a new sister or brother only to end up feeling like the child is destroying their lives. To make matters worse, these children can be superficially charming, causing outsiders to have a distorted view of the family dynamics. Others insist that this child is misunderstood or mistreated, which leaves the family feeling frustrated and alone. Families can become defensive, and feel alienated from their friends and extended family. In-home services are designed to teach the siblings techniques for coping with the child who has attachment problems. We also can meet with the extended family to help them gain an understanding of why the child needs to be parented differently. Addressing concerns at your child’s school can feel completely overwhelming. When a family already has so much difficulty at home, school issues can threaten to push you over the edge. Principals, teachers, and other school staff have been trained to look for signs of abuse and neglect with their students. A child with attachment problems can seek out attention in unhealthy ways, sometimes making false allegations about their parents and even persuading school officials that they have been abused. These children spend much of their time keeping teachers and parents at odds with each other rather than working together. This is a manipulative tactic which serves many different purposes for the child. First, he is receiving both negative and positive attention from two parties, which in turn makes him feel powerful. Second, the situation helps to keep the primary care giver (usually the mother) at a distance, because she becomes too angry to want to bond. Third, the time spent dealing with the problem takes all focus off his schoolwork, so he is not held accountable for fulfilling his educational requirements. Teachers, principals, and school staff need to have a clear understanding of how children with attachment challenges function. Gaining a clear understanding of what the family is going through will help school employees be supportive during these stressful times. Helping educate those who are involved with your child is a must. Children with these issues need to see parents and teachers working together so the child cannot triangulate. We can attend school meetings to enlighten your child’s teachers and school staff, helping everyone involved gain a greater understanding of your child. We provide strategies and techniques that can be implemented in the classroom so that he can feel safe, accepted, and understood. Within this environment, your child will have a greater chance of flourishing and succeeding. He can learn to trust a teacher who understands him. This will enable teacher and student to have a more successful school year.